Posting: "Volunteers with Depression needed for Sleep Deprivation Study"
If you are experiencing moderate-to-severe depression for at least six months and are between 20-64 years old, you may be eligible to participate in a total sleep deprivation study at UCLA. Our study is looking at how one night of sleep deprivation relates to changes in mood, brain chemistry and function, and gene regulation. The study involves 4 visits to our laboratory over the course of 1 month. One visit includes staying awake overnight in the laboratory. The study involves 2 brain scans and multiple blood draws, as well as wearing an activity-tracker and logging daily mood on your phone for 2 weeks. Patients must be diagnosed with depression, able to undergo MRI scanning, and not be using illicit substances. Participants can earn up to $790 for completing all appointments. 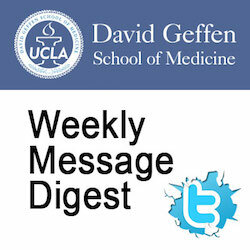 Please call 310-825-4875 or e-mail DGCBiomarkerStudy@mednet.ucla.edu to speak to the Sleep Study Coordinator. Visit https://depression.semel.ucla.edu/tsd# for complete study details and information. This posting expired on March 25, 2019.